Since January 24th, 2017 when Emerild began her journey with Noble, she’s made quite the impact. Her humor and and attitude are one of a kind. She’s able to mix the most candid sarcasm with the sweetest intentions. Conversation, Entertainment, and “Top Tier” Gameplay – you’ll find all this the second you enter stream. Whether it’s Smite, For Honor, IRL, or any other game she decides to touch – her gameplay is unmatched and her attitude is always one of a kind. Emerild had spent time studying Drama and Law before taking the time to pursue streaming and focusing on her work life. With a creative and brilliant mind from being an English Tutor and spending many years practicing Piano, her uses that creativity to bring over to her stream. As proof, she’s even offered an !accent command where you get to pick her streaming accent for 5 minutes at a time. Emerild – Entertaining, Positive, and much like her name implies – truly a gem. When did you start streaming? What inspired you to begin streaming? After I got into Smite, I remember binge watching online content because I so desperately wanted to improve. I came across content creators on Twitch, and would browse through the streamers. I remember watching Mogee, Smitten and Penguin0fDeath a lot, but not so much for their gameplay (not saying they lacked skill, they did not) but for their personalities. I always thought streaming was exclusive to good players, never did it cross my mind that a streamer’s main appeal might be their personality and community. I remember watching a streamer back then, their K/D was 1/9, I put myself in their shoes.. “Wow, I’d feel so embarrassed playing terribly on stream. I could never do that,” because I was afraid of being laughed at. Now I go 1/9 every stream, to honour them, of course. What Games Do You Currently Play / Plan on Playing in the Future? I definitely play Smite the most, and I feel my stream has been built around that game. For Honor is currently my secondary game. Every now and then, if the chat is active, brave enough and willing, we’ll do party games together. I really enjoy those, even if my viewers are incredibly unfunny and I win every game. I do play story focused games every now and then, though it’s quite rare, I hope to do so more in the future, but Smite will always have a special place in my heart, even though I’m very mediocre at it, I’ll always return to it. As mainly a Smite player, what got you into Smite originally and why would you say you love it now? January 2015, my younger brother Jonathan was telling me about a game he’d gotten very invested in recently, talking about the Gods, game modes and what not. He was very persistent in me trying it out, but I kept postponing. Little did I know, I’d be the one invested in it today, whilst he’s moved onto other games. February 2015, I finally gave in when he visited my apartment and installed it on my PC. Day 1. I loved it, it was so addictive, I was complete trash but I enjoyed it so very much. Smite has become my go to game, because I’ve made so many friends on there, I can just sign on and start a party. I think I’d feel a lot differently about it if I didn’t have any friends playing, I’ve bonded with many people through Smite. Who has the best skin in Smite? Again, such a difficult question. Hmm.. I think it might have to be Madame Blade Serqet. Funny story, I was playing Smite at my mum’s back when that skin was released, so it was advertised on the home page. She genuinely thought Smite had released a skin of me. 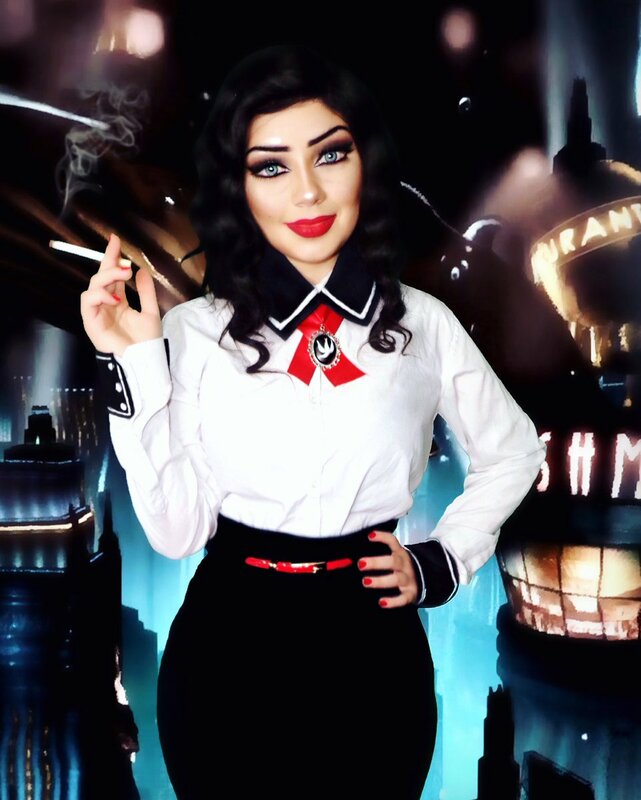 (I don’t see it, and me choosing the skin has no relation to that story) I just genuinely love the steampunk look she has there, it’s gorgeous. Oh, and not to mention the exaggerated british accent, (nobody sounds like that). Have you ever played Competitive eSports Titles Before? If so, What titles? What’s your best accomplishment in these titles? Fortunately for everyone else, I have never competed competitively. What is your Current Streaming Set-Up? What is your advice to aspiring Streamers? Everyone starts somewhere. Don’t let other streamers, your viewer/follower count intimidate you, they’re them and you’re you. It helps to hide your viewer count when streaming, so you act the same whether you have 5 viewers or 200. Never complain to your viewers about your ‘streaming progress’, it’s disrespectful to them and it’ll make them not want to stay, feel under appreciated. Talk, be jolly, interact with your chat, ask them about their day, because entertaining your viewers should always be the main focus. (Unless you’re one of those incredibly skilled wizards people watch for ‘gameplay’). Most importantly, make the stream your own, you want people to return, and if there’s another streamer doing exactly what you’re doing, who’s to say they’re going to watch you over them? Be different! Every streamer will encounter trolls at some point, you can either choose to ban them straight away, or, beat them at their own game, they’ll likely leave. You never know, one of those trolls may become a loyal viewer. How has your time been with Noble? It’s been brilliant, I’ve grown as a streamer and a person, I’ve met some absolute darlings, I’ve made lasting relationships from joining the org, and I couldn’t ask for anything more. How could you describe your community? I’d say we’re a very tight knit community, I’ve made some incredible friends over the years that have stuck around to this day, not sure why, but I wouldn’t have it any other way. Everyone jokes a lot, so it can be difficult for newcomers if they’re not used to this/sensitive, but all in all we’re a very enjoyable, humorous bunch, not for the faint of heart. 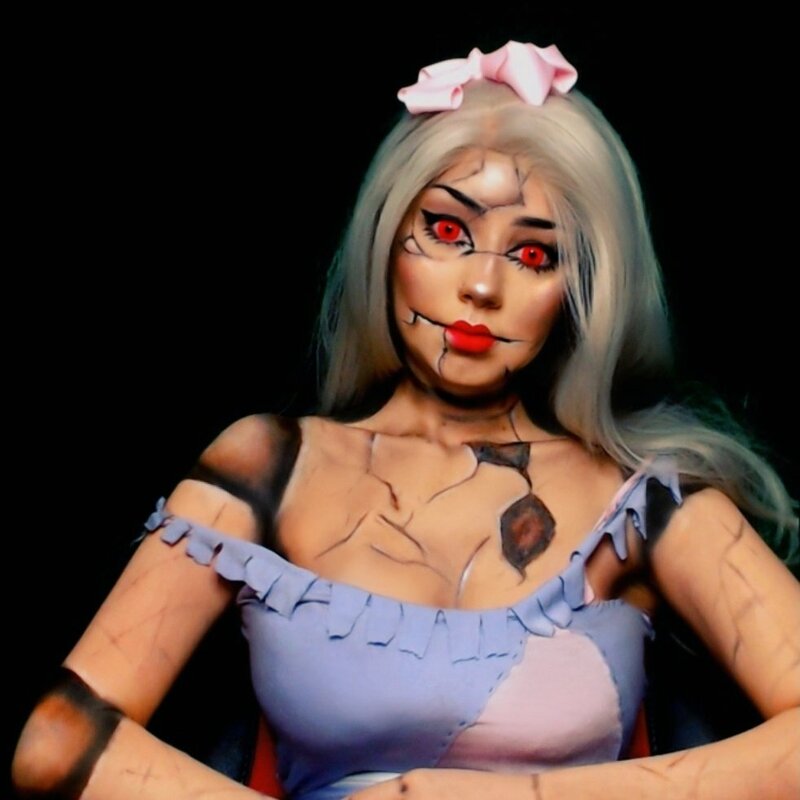 You’ve been seen cosplaying for events here and there on your stream – along with a makeup stream or two. How strong is your passion for make up? Ever think of taking it to another level? I absolutely adore playing with makeup. The most fun I’ve had with it is when I do my makeup to become characters, which I’ve done a few times. I’d like to do it more though, and definitely on stream, it’s just that, though I’ve done makeup streams in the past, I feel they aren’t as enjoyable for viewers as my usual streams, simply because it’s all girly makeup, eyeshadow, eyeliner and what not. I’ve never seriously considered doing anything like this professionally, though people have suggested it. It’s more a hobby than anything else, but hey, you never know where life may take you. Are there any additional things you’d like to say? I’d like to ask you something now. Have you ever found yourself thirsty, tired or generally out of energy whilst gaming, working or maybe even streaming? Have you been looking at all those overpriced energy drinks and supplements with huge unnecessary amounts of sugar and a m e d i o c r e taste? Our chefs and doctors have worked in our kitchens and labs for multiple years, just to develop a product that not only tastes good, but is P A C K E D with energy to fuel you for the rest of your day. A NOOTROPIC, sugar free drink that leaves no funky aftertaste or any unpleasantries whatsoever. EMERILD is a witty good hearted streamer with a devoted sincere community who are always down to have a laugh (With the exception of bad dad jokes). Her main attraction is SMITE but enjoys deviating from time to time with the likes of party games and the abberant makeup/cosplay stream. Always welcoming all viewers, old or new, to join and be apart of our community. #staynoble – BritishMike, viewer.